Getting your new restaurant going is a roller coaster. It’s exciting and feels great to get your dream off the ground, but there are also a lot of potential pitfalls you will be scrambling to avoid. You have to style the space, hire staff, sort out the menu, buy kitchen equipment, source ingredients and a whole laundry list of other things to worry about. There’s a lot of pressure to get it right, so take a deep breath and review a few mistakes you can easily avoid. Don’t be cheap when it comes to important equipment. When it comes to the functional elements of your restaurant you definitely don’t want to be cheap. You want your restaurant to run smoothly and efficiently and that requires having the right tools, such as Norris dishwashers. Your staff will appreciate you making their lives easier and you will see the results in the day to day running of your business. Don’t leave the restaurant to run on it’s own. This might seem obvious, but especially in the beginning or during transitional periods, don’t just leave your staff to run the restaurant. You should be there to manage day to day operations and to oversee things while everyone is getting used to things. Once you have established a solid routine and trained your staff to manage things, then you can take the occasional day off, but remember that you’re in charge and if you aren’t there, you’re still responsible. As you have the biggest stake in the success of the restaurant, you should be there working to see things through and leading the team. While on one hand you don’t want to leave the restaurant to run on it’s own, you also shouldn’t micromanage or try to do everything yourself. When you’re a business owner, your business is your baby. You want to keep it safe and take care of it and you don’t want to trust other people with your baby. Running a restaurant is not a one person show. You have to hire capable people and trust them to do their jobs. Particularly at the beginning, you want to get as much feedback as possible so you can identify things you are doing right and things that are going wrong or might go wrong in the future. While negative feedback can hurt, it’s really important to hear it so you can ensure the long term viability of your business. It will also be a great feeling to hear positive feedback from customers about how much they love something you’ve done. Don’t forget to encourage your staff. Motivating the people that make your business work on a day to day basis is vital, especially in a service industry. Your staff are the face of your business, they’re whom customers interact with. If they’re unhappy with their job or feel unappreciated, that will come through in the service they provide and their interaction with customers. Employees that feel valued are more loyal and perform their jobs better. As you’re developing your restaurant, it’s important to have a clear sense of where you are and where you want to be. Make sure your staff is aware of how everything is progressing, what you need from them and how they’re contributing. 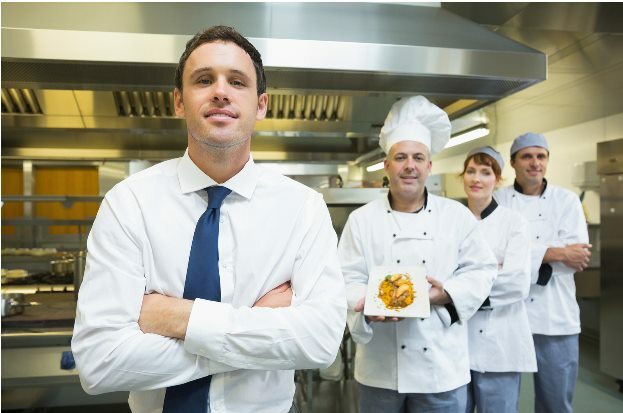 Working as a team will help take the pressure off of everyone involved and get you and your restaurant on a path to success.